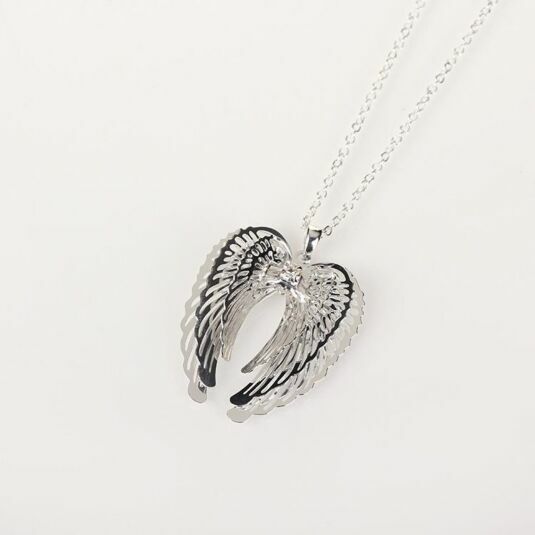 Part of the Equilibrium range of jewellery, this Guardian Angel Wings Necklace is the perfect present for a friend or loved one, as a gift that they will treasure as a sign of your everlasting support. 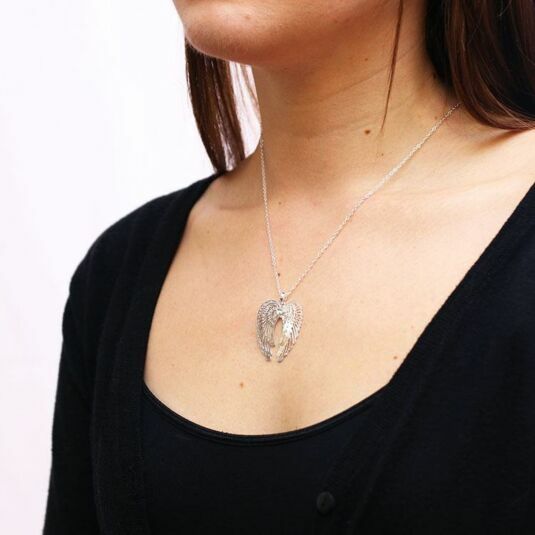 With a clear single faceted sparkling crystal suspended within a pair of triple layered silver plated guardian angel wings, the pendant flows with a dignified sophistication. A minimalistic silver link chain is used to hang the piece, whilst the touch of silver adds to the overall elegance. Fastened with a hook and clip mechanism, fitting is easy, and a pendant hanging at the back showcases the brands name. The necklace chain measures 45cm in length. 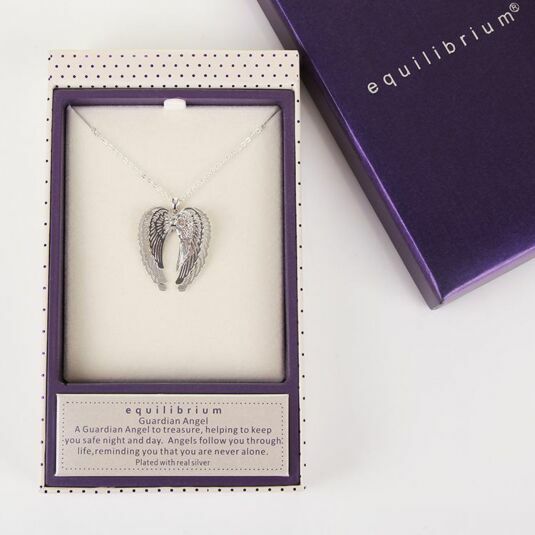 Beautifully packaged in a shimmering purple Equilibrium branded gift box, this necklace would make the perfect present for a Birthday, Christmas, Christening, or Graduation.